To learn more about any of the topics below, click on the links. On March 17, 1970, letter carriers in New York City led a general postal strike against what was then known as the Post Office Department to protest poverty-level wages. Carriers and other postal workers throughout metropolitan New York—and soon in other cities across the country—followed suit. This successful strike by nearly a quarter-million postal workers led to the Aug. 12, 1970 signing of the Postal Reorganization Act which, among other things, gave NALC the authority to bargain collectively for national agreements with the newly created United States Postal Service. The NALC is governed both by a constitution and by the will of delegates to NALC’s biennial national conventions. For day-to-day operations, NALC’s Executive Council leads the union. The Council is made up of 10 resident national officers: president, executive vice president, vice president, secretary-treasurer, assistant secretary-treasurer, director of city delivery, director of safety and health, director of retired members, director of life insurance and director of the NALC Health Benefit Plan. Three trustees are also on the Council, as are the national business agents who represent the union’s 15 geographical regions. But NALC’s real strength, power and representation start at the local level, with members belonging to more than 2,000 locals, known as branches, throughout the country. Here, local shop stewards and local branch officers work tirelessly to protect letter carriers and to make sure postal management abides by the national collective-bargaining agreement, as well as to assist carriers navigate the workers’ compensation process in the event that they’re injured on the job. 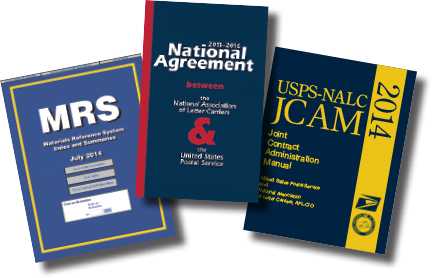 To aid members and local officers alike, NALC has assembled an extensive array of resources, such as the Joint Contract Administration Manual (JCAM) and the Material Reference System (MRS). Letter carriers who must deal with route adjustments, workroom floor issues, Family and Medical Leave Act (FMLA) issues and so much more can find the resources they need freely available for download from this website. Newly hired city carrier assistants can also find material especially designed for them. Located a stone’s throw from the U.S. Capitol in Washington, DC, NALC’s Vincent R. Sombrotto Headquarters Building houses an able staff of professionals who are dedicated to protecting and defending letter carrier jobs, pay and benefits from legislative attacks in the halls of Congress. Whether working with Congress on legislation, getting friends of letter carriers elected or creating grassroots movements to enact change, NALC stands ready to effectively deal with whatever challenges lawmakers throw its way. 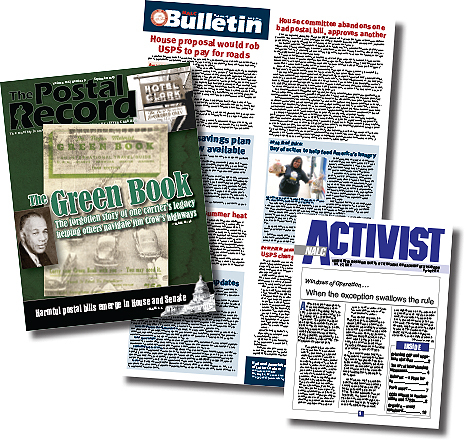 To help NALC stay in regular touch with all of its members, the union employs a vast assortment of communication tools, from news articles and updates posted here on nalc.org to The Postal Record, the monthly membership magazine. The semi-regular NALC Bulletin—prominently displayed on post office union bulletin boards and in branch offices across America—and the NALC Activist also work to keep members up-to-date on all of the latest developments affecting letter carriers. Additionally, the union embraces the power of the Internet by sending out regular notifications to members via the NALC Member App for smartphones, and communicates with ever-growing social network users via Facebook and Twitter. And NALC continuously reaches out to the print and broadcast media to help inform the public about the union and the Postal Service. In most unions, retired members are not eligible to vote, hold office or otherwise participate in the governance of the union. The NALC is different; from the union’s earliest days, retirees have been permitted to retain their membership in the union. Retired members provide a conduit for the history and the traditions of both the letter carrier craft and the NALC, and they play a prominent role in the union’s legislative outreach. They also have the right to vote in union elections, attend union meetings and hold union offices. 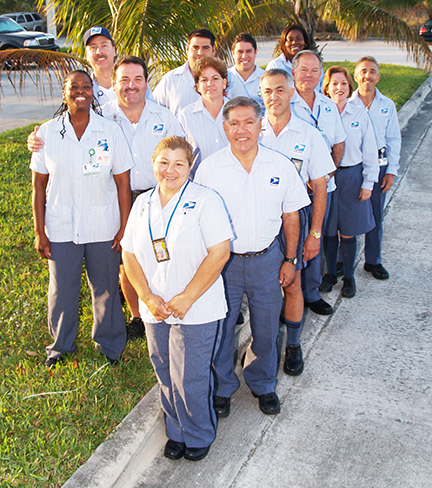 Through community service efforts, the NALC continuously reaches out to the neighborhoods that letter carriers serve. For example, on the second Saturday of May each year, the union holds the national Letter Carriers’ Food Drive. Also, NALC was the first national partner of the Muscular Dystrophy Association; it continues a close relationship with the organization to this day. And because letter carriers visit every address in America six days a week, many are alert to the needs of the elderly and homebound, meaning some members occasionally find themselves positioned to perform heroic acts that go well beyond the scope of delivering the mail. NALC members also have access to a number of members-only benefits, such as the NALC Health Benefit Plan, the Mutual Benefit Association insurance company, the NALC Auxiliary and the letter carrier retirement community known as Nalcrest. Union-made clothes bearing the NALC logo and other items can be purchased through the online NALC store. NALC is affiliated with the AFL-CIO and other national and international labor organizations. But most of all, NALC is hundreds of thousands of dedicated letter carriers, united to protect the quality of their jobs and the integrity of the United States Postal Service. Over a century of delivering for letter carriers and America.